For up-to-date changes, always check the Technical Bulletins or contact a Specialist. A metal panel can protect a structure for an incredibly long time, but only if properly installed. 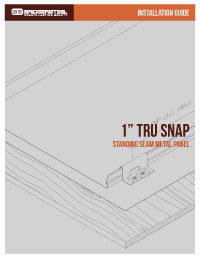 Always review the installation guide for your product before beginning installation. If you have any additional questions or need a specialist to answer any questions, please contact our team. 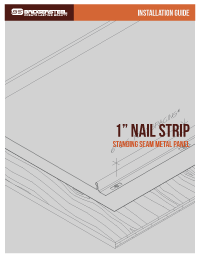 The following guides provide installation instructions for Bridger Steel's Standing Seam metal panel systems. 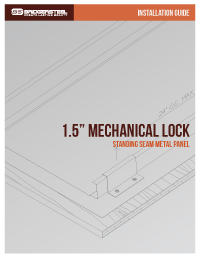 2" Structural Mechanically Locking Roofing & Siding Panel for Residential or Commercial Use. 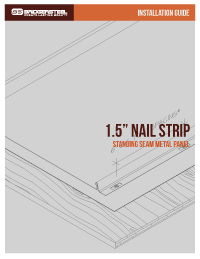 1.5" Structural Mechanically Locking Roofing & Siding Panel for Residential or Commercial Use. 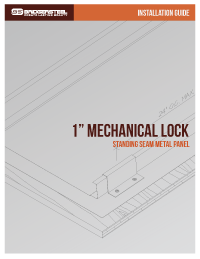 1" Structural Mechanically Locking Roofing & Siding Panel for Residential or Commercial Use. 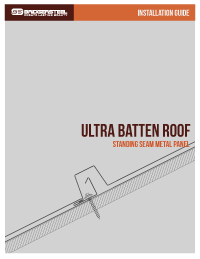 Ultra Batten Standing Seam Roofing Panel for Residential or Commercial Use. 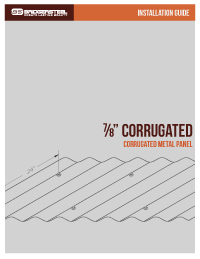 The following guides provide installation instructions for Bridger Steel's Corrugated metal panel systems. 7/8" Corrugated Structural Metal Roofing, Siding, and Interior Panel. 3/4" Corrugated Metal Panel System for Residential or Commercial Use. 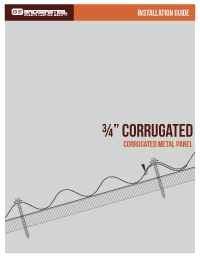 1/2" Corrugated Metal Siding Panel System for Residential or Commercial Use. 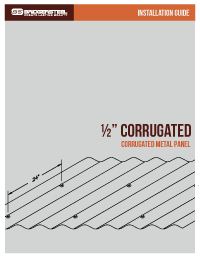 1/4" Corrugated Metal Panel System for Siding, Accents, and Interiors. The following guides provide installation instructions for Bridger Steel's Box Rib metal panel systems. Bare Metal Siding Panel System for Residential or Commercial Use. The following guides provide installation instructions for Bridger Steel's All Purpose metal panel systems. 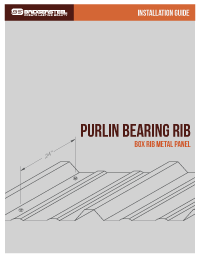 Ribbed Steel Roofing Panel for Residential or Commercial Use. 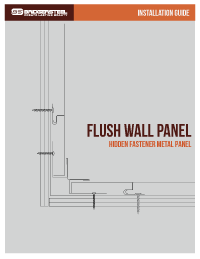 Exposed Fastener Metal Wall Paneling System for Residential or Commercial Use. 3' Platte River Metal Siding, Wall, and Accent Panels for Residential or Commercial Use. 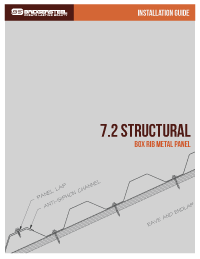 Structural R Panel System for Residential or Commercial Use. 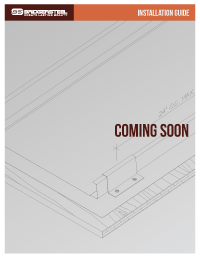 The following guides provide installation instructions for Bridger Steel's Soffit metal panel systems. Steel Soffit for Residential or Commercial Use. 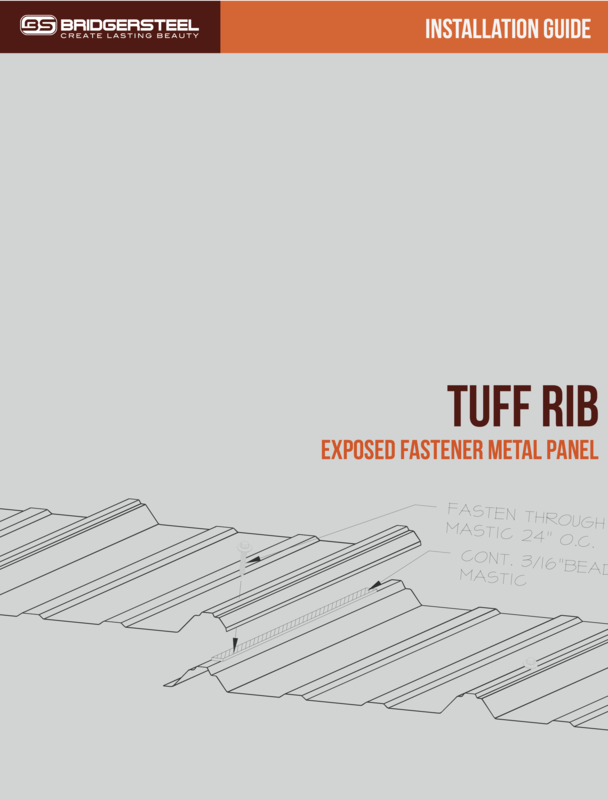 Flush Soffit for Residential or Commercial Use. The following guides provide installation instructions for Bridger Steel's Flat metal panel systems. 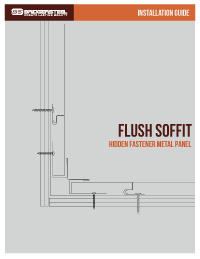 Flush Wall Panel for Residential or Commercial Use.